Want evidence of our work? See our recent projects page! 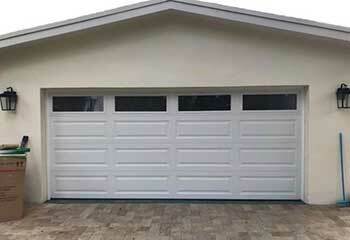 We stand by the quality of our garage door repair work and want you to be confident when you hire us. We’re happy to share these examples of professionally completed jobs so you can assess our capabilities. Customer Issue: Needed a new door installed. 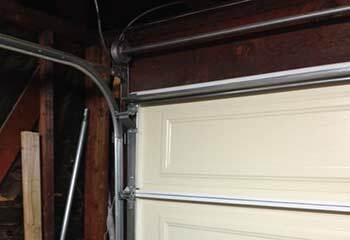 Our Solution: We carefully disconnected the original garage door from the opener and rest of the system to safely take it down for the customer. Then, the brand-new Clopay door was carefully put into place. 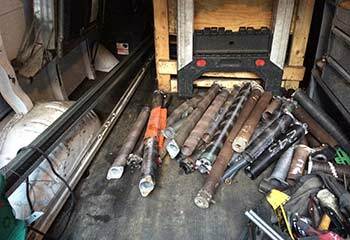 Our Solution: We came out right away to help this customer and ensured his opener was disconnected before taking off the pieces of the spring. We replaced it with a new one and checked the other springs for wear. Customer Issue: A frayed cable. Our Solution: Our team replaced both cables, realigned and lubricated all parts to ensure efficient operation. 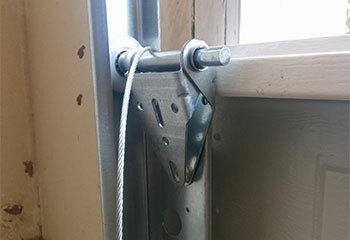 Our Solution: Replaced the track, realigned the door to exact specifications and tightened all the bolts properly. 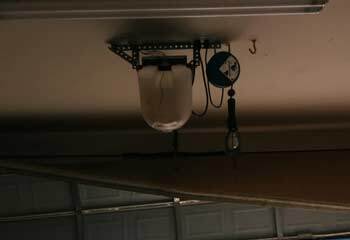 Customer Issue: Customer wanted to replace his broken Genie opener with a Wi-Fi model. Our Solution: Replaced his broken opener with a Wi-Fi Chamberlain WD1000WF, realigned the track and performed routine maintenance.